The Mexico Beach Community Development Council is proud to announce Cornerstone Marketing and Advertising, Inc. – The Idea Boutique®, a full-service advertising and public relations firm located in Grayton Beach, Fla., as the new agency of record in an undertaking that will rebrand Mexico Beach, Fla. The area of Northwest Florida’s coast occupied by Mexico Beach, often called the Forgotten Coast, has been spared the rapid development and commercialization that much of the Northwest Florida Panhandle experienced throughout the last several decades, resulting in a unique opportunity to travel back in time and experience Florida as it once existed. “It’s an authentic vacation experience—as if you’ve gone back in time about 30 years,” added Burwell. The Idea Boutique has begun the process of trademarking “The Unforgettable Coast,” which is central to the new branding campaign, and will use the tagline “A Place to Remember.” The Idea Boutique has developed a unified marketing, public relations and advertising plan that takes full advantage of the previous year’s advertising campaign by expanding those efforts into a robust, highly visible, and competitive online presence. 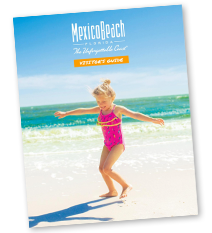 To learn more about Mexico Beach, please visit mexico-beach.com. For more information on Cornerstone Marketing and Advertising, Inc. – The Idea Boutique®, visit theideaboutique.com. Cornerstone was established in May 1994. Cornerstone Marketing and Advertising, Inc. is a boutique full-service marketing, advertising, branding, and public relations firm located in Grayton Beach, Fla., that bills itself as The Idea Boutique®. Cornerstone successfully entered the publishing arena in early 2008; they are the publishers of the magazines VIE, Sandestin Living, and Portofino Life, and the hardcover books Cast Your Bread Upon the Waters and Facade. Cornerstone’s mission statement includes producing and creating the most unique, creative, and effective marketing available today, all while enhancing the clients’ revenue potential. The company is located at 114 Logan Lane, Suite 4 in Grayton Beach, Fla. For more information on Cornerstone Marketing and Advertising, Inc., please contact Lisa Burwell at 850.231.3087 ext. 1, or visit www.TheIdeaBoutique.com. Since 1946, the three miles that make up the city of Mexico Beach, Fla., have been a tranquil and serene hideaway from the pressures of everyday life. With its close proximity to Panama City Beach and the new Northwest Florida Beaches International Airport, Mexico Beach has big-city accessibility and a small-town feel. In 2011, it was selected by Yahoo! Travel as a “Great American Beach Town” and as one of the Gulf Coast’s Top 10 by Gulfscapes Magazine.